If you are looking for relaxing accommodation in a peaceful and beautiful surroundings then this Bed and Breakfast Bungalow is perfect for you, regardless of whether you are in Broome for business, pleasure, adventure or a romantic getaway. The facilities at the Bungalow in Broome will meet your every needs and the little extras will make you feel right at home, including the delicious breakfasts each morning. 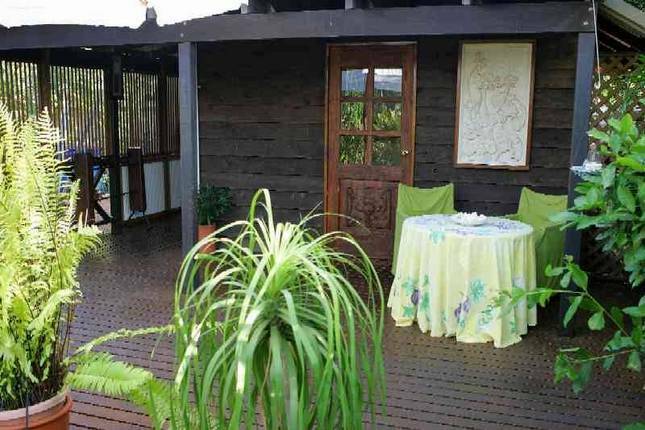 The property is surrounded by tropical gardens and gives you access to your own private decking area, giving you privacy and personal space throughout your stay.